This agreement sets out the terms and conditions of use for the website and services of Media Music Now. By using the website and / or services you are consenting to the terms and conditions as detailed here. Media Music Now is a trading identity of Bright Cloud Media Limited, Registered in England & Wales, Company Number 5511247. If you do not accept these terms and conditions you should not register. "Media Music Now" - The company & website, also referred to as "We" / "Us" / "Media Music Now"
"Client " - the registered user of Media Music Now, also referred to as "You" / "Customer"
"Point of Sale" - Purchasing automatically or Manually from Media Music Now website or staff. "Products" - Music licensing and sound effect licensing, packages. "Services" - Hiring voice-overs, composers, audio editing and production. "Our Blog" - A forum where Media Music Now post articles & information that is open for comments from the public. The website design, text, graphics, music previews are all copyright by their respective owners and are used by Media Music Now under written or verbal agreement. Third party Show Reels and Demos Reels are provided and hosted by Media Music Now with the explicit understanding that the supplier of the Demo Reel or Show Reel has all relevant permissions to allow Media Music Now use of the content in a promotional context. Name, domains, and logos are proprietary of Media Music Now / Bright Cloud Media Limited and are considered trademarks and / or trading styles of Media Music Now. We use reasonable endeavours to ensure that information, prices and other data is accurate but cannot be held liable for errors and omissions. Some content, particularly on our blog may be the opinions of the general public and is not necessarily the view of or endorsed by Media Music Now. Information supplied on the site is copyright of Media Music Now and permission should be sought before using any information from the site. Information is provided as guidance only, Media Music Now does everything possible to ensure accuracy of information on the site; however, this does not constitute a guarantee for anything published or available within the site. Media Music Now reserves the right to change, modify, substitute or remove any content or services without notice. We cannot assume responsibility for any content on other websites linked to or from Media Music Now. The information and content on Media Music Now is provided for guidance and to aid research and purchasing decisions only. Products hosted on Media Music Now may have their individual terms & conditions and in the case of music and sound effect products hosted on Media Music Now we will provide licensing documentation. It is deemed that the client takes responsibility for any audio / visual content that is sent to Media Music Now for audio editing / production services. By responsibility we mean that the client needs to secure the relevant copyright clearance / licenses on content sourced from sources other than Media Music Now. If you are in doubt to the suitability of our products for your situation, Media Music Now can provide industry advice & guidance; however, this should not be misconstrued as legal advice. We are not qualified to administer legal advice and if you feel that legal advice is required it is your responsibility to seek the appropriate independent advice. Previews are provided for assessment purposes only and should not be used in part or their entirety other than for this purpose. Doing so will be seen a breach of copyright and a breach of this agreement. Licensed tracks can be downloaded and used only within the terms of the license agreement provided at the point of sale. All copyrights belong to the artist, composer, band or assignee as stated in the contract between the music maker and Media Music Now. Originality is guaranteed by the music maker in the form of a submission contract between the two parties. Production quality is guaranteed by Media Music Now where as production ownership is guaranteed by the Music Maker in the form of the submission contract. Although we do our best to ensure that tracks containing content of an adult nature are clearly marked, we cannot be held responsible for viewpoints or language used within a production. Any expletives or view points within a work is that of the artists and is not the opinion of Media Music Now. Website functionality, products and services from Media Music Now are all provided without warranties of any kind implied or otherwise. Although we will do our utmost to ensure a safe and unrestricted service we cannot provide warranties against loss of service, revenues or any damages incurred as a result of using the service. 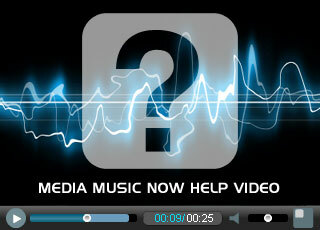 By placing your order with Media Music Now, you are confirming that you have sent us your final, ready to record script. If you make a mistake on your script, we have to pay the voice-over for a re-record and therefore have to charge you for this. If we judge that the voice-over has mispronounced a word or not followed your direction, under these circumstances our voice-overs will do a reasonable amount of re-records at no extra charge. You must raise any issues upon receiving the finished files or within 1-2 working days. If you leave it for numerous days / weeks before getting back to us, we will consider this a paid re-record. If you decide to change your script after recording has started, even if it is only one or two words, you will need to pay an additional fee for a re-record. Custom projects will be carried out according to a brief or documentation outlining the scope of the work. It is the customers responsibility to make sure that the information provided is accurate and comprehensive. Any changes to the brief or documentation either written or verbal after work has started may incur additional charges. If the scope of the work changes beyond the original brief or documentation we will inform you of any additional charges. If you subsequently decide to halt the project we reserve the right to charge you for the time and work carried out. Any disputes regarding custom projects will be settled by Media Music Now's management team. We expect our suppliers to provide a professional service but we will also act on their behalf to look after their interests. Suppliers include but are not limited to voice overs, composers and audio producers. We will make a judgment based on what we consider to be fair and reasonable. This is based on our experience and may go in favour of the customer or the Media Music Now supplier. As payment for custom projects covers people's time no refunds can be given after work has taken place. Our custom projects are provided subject to availability. Any time-scales for custom projects assume availability of suppliers. We can not be held liable for any losses incurred as a result of limited or no availability. Refunds may be offered if a download proves to be technically defective. Any other refund will be at the discretion of Media Music Now directors, or management team.